How gorgeous is that peacock image from the new Moments Remembers stamp set created by illustrator, Chaitali Narla?! I love the frilly feathers and intricate look of it...it's a fabulous stand-along image, needing very little (if any) embellishing! I stamped the image and a coordinating sentiment over some patterned paper, layered up on a few other patterns, and sprinkled a few of the Pastel Sequin Mix for added movement and interest. What a pretty peacock image!! This is just lovely Stacey! Pretty card. Love the colors and cute image. Such a gorgeous card Stacey! You are so amazing at layering everything to perfection!! This is stunning! Love the peacock! This card feels like a celebration! So pretty! 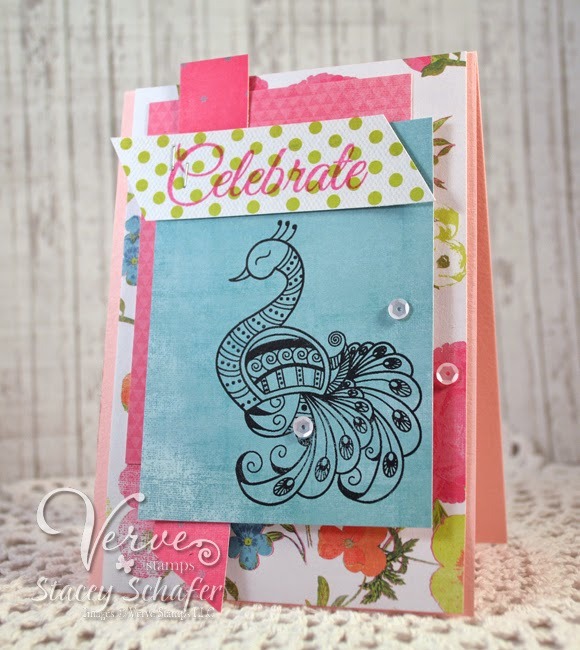 Stacey, what a great card, you have added so many fun layers to it, but the peacock still takes center stage! So fun with all those bright papers! And it shows that the peacock image can be fabulous even when uncolored. Cute card. Love all the colors. Love all the layers. That peacock is awesome. Love it Stacey! I love how the peacock is so intricate and beautiful that it doesn't even need to be colored, so fabulous! Love the layering. Leaving the peacock plain on the colored paper was a good idea. Great card. It really is a lovely image for just stamping. Love the details and they shine on your card! Beautiful card! I love the papers. This is lovely; the peacock is absolutely gorgeous even without Copics! Super cute, Stacey! Love the colors and fun design! Such pretty colours and papers on this beautiful card today. Very pretty choice of papers and I like the addition of sequins. A cute and colorful way to showcase this peacock image! Well done! Ooh very pretty. Look at all those layers and colours too. Beautiful, Stacey! Love all the colors and patterns! Verve always has such imaginative stamps and you've played the peacock up beautifully. Beautiful card! I love your layers! All of your cards are so bright - love that! Wow, this is a completely different take on this image and I like it! I immediately thought of coloring the peacock, and many others did too, but you went a different route and used colors I would never have thought of, and it turned out so beautifully. Beautiful card - love the patterned paper in the background. Love how you kept the image as a line image...really stands out. So pretty - love all the layers. So bright and cheerful! Made my day! Ohhh love the layout of this card! Beautiful! Beautiful card! I love the peacock image! So pretty! So fun and colorful! That peacock is a real show off!! What a great stamp set, Great card!! I love your style!!! veary awesome. Very pretty card! Like how you stamped on pretty paper and didn't color it! Great use of color! Beautiful! Such gorgeous, bright & summery colours! Love this! This is such a fun card, Stacey! Love all the bright colors. Great mix of papers. 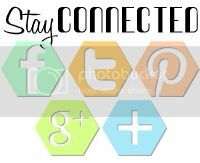 Like how you made the stamped image the star.